YUSUFALI: They ask thee concerning (things taken as) spoils of war. Say: "(such) spoils are at the disposal of Allah and the Messenger: So fear Allah, and keep straight the relations between yourselves: Obey Allah and His Messenger, if ye do believe." PICKTHAL: They ask thee (O Muhammad) of the spoils of war. Say: The spoils of war belong to Allah and the messenger, so keep your duty to Allah, and adjust the matter of your difference, and obey Allah and His messenger, if ye are (true) believers. SHAKIR: They ask you about the windfalls. Say: The windfalls are for Allah and the Messenger. So be careful of (your duty to) Allah and set aright matters of your difference, and obey Allah and His Messenger if you are believers. SHAKIR: Those only are believers whose hearts become full of fear when Allah is mentioned, and when His communications are recited to them they increase them in faith, and in their Lord do they trust. PICKTHAL: Who establish worship and spend of that We have bestowed on them. SHAKIR: Those who keep up prayer and spend (benevolently) out of what We have given them. PICKTHAL: Those are they who are in truth believers. For them are grades (of honour) with their Lord, and pardon, and a bountiful provision. SHAKIR: These are the believers in truth; they shall have from their Lord exalted grades and forgiveness and an honorable sustenance. PICKTHAL: Even as thy Lord caused thee (Muhammad) to go forth from thy home with the Truth, and lo! a party of the believers were averse (to it). YUSUFALI: Disputing with thee concerning the truth after it was made manifest, as if they were being driven to death and they (actually) saw it. PICKTHAL: Disputing with thee of the Truth after it had been made manifest, as if they were being driven to death visible. SHAKIR: They disputed with you about the truth after it had become clear, (and they went forth) as if they were being driven to death while they saw (it). SHAKIR: And when Allah promised you one of the two parties that it shall be yours and you loved that the one not armed should he yours and Allah desired to manifest the truth of what was true by His words and to cut off the root of the unbelievers. YUSUFALI: That He might justify Truth and prove Falsehood false, distasteful though it be to those in guilt. SHAKIR: That He may manifest the truth of what was true and show the falsehood of what was false, though the guilty disliked. YUSUFALI: Remember ye implored the assistance of your Lord, and He answered you: "I will assist you with a thousand of the angels, ranks on ranks." PICKTHAL: When ye sought help of your Lord and He answered you (saying): I will help you with a thousand of the angels, rank on rank. SHAKIR: When you sought aid from your Lord, so He answered you: I will assist you with a thousand of the angels following one another. YUSUFALI: Allah made it but a message of hope, and an assurance to your hearts: (in any case) there is no help except from Allah: and Allah is Exalted in Power, Wise. PICKTHAL: Allah appointed it only as good tidings, and that your hearts thereby might be at rest. Victory cometh only by the help of Allah. Lo! Allah is Mighty, Wise. SHAKIR: And Allah only gave it as a good news and that your hearts might be at ease thereby; and victory is only from Allah; surely Allah is Mighty, Wise. YUSUFALI: Remember He covered you with a sort of drowsiness, to give you calm as from Himself, and he caused rain to descend on you from heaven, to clean you therewith, to remove from you the stain of Satan, to strengthen your hearts, and to plant your feet firmly therewith. PICKTHAL: When He made the slumber fall upon you as a reassurance from him and sent down water from the sky upon you, that thereby He might purify you, and remove from you the fear of Satan, and make strong your hearts and firm (your) feet thereby. SHAKIR: When He caused calm to fall on you as a security from Him and sent down upon you water from the cloud that He might thereby purify you, and take away from you the uncleanness of the Shaitan, and that He might fortify your hearts and steady (your) footsteps thereby. YUSUFALI: Remember thy Lord inspired the angels (with the message): "I am with you: give firmness to the Believers: I will instil terror into the hearts of the Unbelievers: smite ye above their necks and smite all their finger-tips off them." SHAKIR: When your Lord revealed to the angels: I am with you, therefore make firm those who believe. I will cast terror into the hearts of those who disbelieve. Therefore strike off their heads and strike off every fingertip of them. PICKTHAL: That is because they opposed Allah and His messenger. Whoso opposeth Allah and His messenger, (for him) lo! Allah is severe in punishment. SHAKIR: This is because they acted adversely to Allah and His Messenger; and whoever acts adversely to Allah and His Messenger-- then surely Allah is severe in requiting (evil). YUSUFALI: Thus (will it be said): "Taste ye then of the (punishment): for those who resist Allah, is the penalty of the Fire." PICKTHAL: That (is the award), so taste it, and (know) that for disbelievers is the torment of the Fire. SHAKIR: This-- taste it, and (know) that for the unbelievers is the chastisement of fire. YUSUFALI: O ye who believe! when ye meet the Unbelievers in hostile array, never turn your backs to them. PICKTHAL: O ye who believe! When ye meet those who disbelieve in battle, turn not your backs to them. SHAKIR: O you who believe! when you meet those who disbelieve marching for war, then turn not your backs to them. YUSUFALI: If any do turn his back to them on such a day - unless it be in a stratagem of war, or to retreat to a troop (of his own)- he draws on himself the wrath of Allah, and his abode is Hell,- an evil refuge (indeed)! PICKTHAL: Whoso on that day turneth his back to them, unless manoeuvring for battle or intent to join a company, he truly hath incurred wrath from Allah, and his habitation will be hell, a hapless journey's end. SHAKIR: And whoever shall turn his back to them on that day-- unless he turn aside for the sake of fighting or withdraws to a company-- then he, indeed, becomes deserving of Allah's wrath, and his abode is hell; and an evil destination shall it be. YUSUFALI: It is not ye who slew them; it was Allah: when thou threwest (a handful of dust), it was not thy act, but Allah's: in order that He might test the Believers by a gracious trial from Himself: for Allah is He Who heareth and knoweth (all things). PICKTHAL: Ye (Muslims) slew them not, but Allah slew them. And thou (Muhammad) threwest not when thou didst throw, but Allah threw, that He might test the believers by a fair test from Him. Lo! Allah is Hearer, Knower. SHAKIR: So you did not slay them, but it was Allah Who slew them, and you did not smite when you smote (the enemy), but it was Allah Who smote, and that He might confer upon the believers a good gift from Himself; surely Allah is Hearing, Knowing. YUSUFALI: That, and also because Allah is He Who makes feeble the plans and stratagem of the Unbelievers. PICKTHAL: That (is the case); and (know) that Allah (it is) Who maketh weak the plan of disbelievers. SHAKIR: This, and that Allah is the weakener of the struggle of the unbelievers. YUSUFALI: (O Unbelievers!) if ye prayed for victory and judgment, now hath the judgment come to you: if ye desist (from wrong), it will be best for you: if ye return (to the attack), so shall We. Not the least good will your forces be to you even if they were multiplied: for verily Allah is with those who believe! PICKTHAL: (O Qureysh!) If ye sought a judgment, now hath the judgment come unto you. And if ye cease (from persecuting the believers) it will be better for you, but if ye return (to the attack) We also shall return. And your host will avail you naught, however numerous it be, and (know) that Allah is with the believers (in His Guidance). SHAKIR: If you demanded a judgment, the judgment has then indeed come to you; and if you desist, it will be better for you; and if you turn back (to fight), We (too) shall turn back, and your forces shall avail you nothing, though they may be many, and (know) that Allah is with the believers. YUSUFALI: O ye who believe! Obey Allah and His Messenger, and turn not away from him when ye hear (him speak). PICKTHAL: O ye who believe! 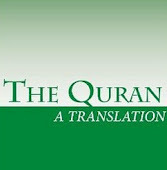 Obey Allah and His messenger, and turn not away from him when ye hear (him speak). SHAKIR: O you who believe! obey Allah and His Messenger and do not turn back from Him while you hear. PICKTHAL: Be not as those who say, we hear, and they hear not. SHAKIR: And be not like those who said, We hear, and they did not obey. YUSUFALI: For the worst of beasts in the sight of Allah are the deaf and the dumb,- those who understand not. PICKTHAL: Lo! the worst of beasts in Allah's sight are the deaf, the dumb, who have no sense. SHAKIR: Surely the vilest of animals, in Allah's sight, are the deaf, the dumb, who do not understand. YUSUFALI: If Allah had found in them any good. He would indeed have made them listen: (As it is), if He had made them listen, they would but have turned back and declined (Faith). PICKTHAL: Had Allah known of any good in them He would have made them hear, but had He made them hear they would have turned away, averse. SHAKIR: And if Allah had known any good in them He would have made them hear, and if He makes them hear they would turn back while they withdraw. YUSUFALI: O ye who believe! give your response to Allah and His Messenger, when He calleth you to that which will give you life; and know that Allah cometh in between a man and his heart, and that it is He to Whom ye shall (all) be gathered. PICKTHAL: O ye who believe! Obey Allah, and the messenger when He calleth you to that which quickeneth you, and know that Allah cometh in between the man and his own heart, and that He it is unto Whom ye will be gathered. SHAKIR: O you who believe! answer (the call of) Allah and His Messenger when he calls you to that which gives you life; and know that Allah intervenes between man and his heart, and that to Him you shall be gathered. YUSUFALI: And fear tumult or oppression, which affecteth not in particular (only) those of you who do wrong: and know that Allah is strict in punishment. PICKTHAL: And guard yourselves against a chastisement which cannot fall exclusively on those of you who are wrong-doers, and know that Allah is severe in punishment. SHAKIR: And fear an affliction which may not smite those of you in particular who are unjust; and know that Allah is severe in requiting (evil). YUSUFALI: Call to mind when ye were a small (band), despised through the land, and afraid that men might despoil and kidnap you; But He provided a safe asylum for you, strengthened you with His aid, and gave you Good things for sustenance: that ye might be grateful. PICKTHAL: And remember, when ye were few and reckoned feeble in the land, and were in fear lest men should extirpate you, how He gave you refuge, and strengthened you with His help, and made provision of good things for you, that haply ye might be thankful. SHAKIR: And remember when you were few, deemed weak in the land, fearing lest people might carry you off by force, but He sheltered you and strengthened you with His aid and gave you of the good things that you may give thanks. YUSUFALI: O ye that believe! betray not the trust of Allah and the Messenger, nor misappropriate knowingly things entrusted to you. PICKTHAL: O ye who believe! Betray not Allah and His messenger, nor knowingly betray your trusts. SHAKIR: O you who believe! be not unfaithful to Allah and the Messenger, nor be unfaithful to your trusts while you know. YUSUFALI: And know ye that your possessions and your progeny are but a trial; and that it is Allah with Whom lies your highest reward. PICKTHAL: And know that your possessions and your children are a test, and that with Allah is immense reward. SHAKIR: And know that your property and your children are a temptation, and that Allah is He with Whom there is a mighty reward. YUSUFALI: O ye who believe! if ye fear Allah, He will grant you a criterion (to judge between right and wrong), remove from you (all) evil (that may afflict) you, and forgive you: for Allah is the Lord of grace unbounded. PICKTHAL: O ye who believe! If ye keep your duty to Allah, He will give you discrimination (between right and wrong) and will rid you of your evil thoughts and deeds, and will forgive you. Allah is of Infinite Bounty. SHAKIR: O you who believe! If you are careful of (your duty to) Allah, He will grant you a distinction and do away with your evils and forgive you; and Allah is the Lord of mighty grace. YUSUFALI: Remember how the Unbelievers plotted against thee, to keep thee in bonds, or slay thee, or get thee out (of thy home). They plot and plan, and Allah too plans; but the best of planners is Allah. PICKTHAL: And when those who disbelieve plot against thee (O Muhammad) to wound thee fatally, or to kill thee or to drive thee forth; they plot, but Allah (also) plotteth; and Allah is the best of plotters. SHAKIR: And when those who disbelieved devised plans against you that they might confine you or slay you or drive you away; and they devised plans and Allah too had arranged a plan; and Allah is the best of planners. YUSUFALI: When Our Signs are rehearsed to them, they say: "We have heard this (before): if we wished, we could say (words) like these: these are nothing but tales of the ancients." PICKTHAL: And when Our revelations are recited unto them they say: We have heard. If we wish we can speak the like of this. Lo! this is naught but fables of the men of old. SHAKIR: And when Our communications are recited to them, they say: We have heard indeed; if we pleased we could say the like of it; this is nothing but the stories of the ancients. YUSUFALI: Remember how they said: "O Allah if this is indeed the Truth from Thee, rain down on us a shower of stones form the sky, or send us a grievous penalty." PICKTHAL: And when they said: O Allah! If this be indeed the truth from Thee, then rain down stones on us or bring on us some painful doom! SHAKIR: And when they said: O Allah! if this is the truth from Thee, then rain upon us stones from heaven or inflict on us a painful punishment. YUSUFALI: But Allah was not going to send them a penalty whilst thou wast amongst them; nor was He going to send it whilst they could ask for pardon. PICKTHAL: But Allah would not punish them while thou wast with them, nor will He punish them while they seek forgiveness. SHAKIR: But Allah was not going to chastise them while you were among them, nor is Allah going to chastise them while yet they ask for forgiveness. YUSUFALI: But what plea have they that Allah should not punish them, when they keep out (men) from the sacred Mosque - and they are not its guardians? No men can be its guardians except the righteous; but most of them do not understand. PICKTHAL: What (plea) have they that Allah should not punish them, when they debar (His servants) from the Inviolable Place of Worship, though they are not its fitting guardians. Its fitting guardians are those only who keep their duty to Allah. But most of them know not. SHAKIR: And what (excuse) have they that Allah should not chastise them while they hinder (men) from the Sacred Mosque and they are not (fit to be) guardians of it; its guardians are only those who guard (against evil), but most of them do not know. YUSUFALI: Their prayer at the House (of Allah) is nothing but whistling and clapping of hands: (Its only answer can be), "Taste ye the penalty because ye blasphemed." PICKTHAL: And their worship at the (holy) House is naught but whistling and hand-clapping. Therefore (it is said unto them): Taste of the doom because ye disbelieve. SHAKIR: And their prayer before the House is nothing but whistling and clapping of hands; taste then the chastisement, for you disbelieved. SHAKIR: Surely those who disbelieve spend their wealth to hinder (people) from the way of Allah; so they shall spend it, then it shall be to them an intense regret, then they shall be overcome; and those who disbelieve shall be driven together to hell. YUSUFALI: In order that Allah may separate the impure from the pure, put the impure, one on another, heap them together, and cast them into Hell. They will be the ones to have lost. PICKTHAL: That Allah may separate the wicked from the good, The wicked will He place piece upon piece, and heap them all together, and consign them unto hell. Such verily are the losers. SHAKIR: That Allah might separate the impure from the good, and put the impure, some of it upon the other, and pile it up together, then cast it into hell; these it is that are the losers. YUSUFALI: Say to the Unbelievers, if (now) they desist (from Unbelief), their past would be forgiven them; but if they persist, the punishment of those before them is already (a matter of warning for them). PICKTHAL: Tell those who disbelieve that if they cease (from persecution of believers) that which is past will be forgiven them; but if they return (thereto) then the example of the men of old hath already gone (before them, for a warning). SHAKIR: Say to those who disbelieve, if they desist, that which is past shall be forgiven to them; and if they return, then what happened to the ancients has already passed. PICKTHAL: And fight them until persecution is no more, and religion is all for Allah. But if they cease, then lo! Allah is Seer of what they do. SHAKIR: And fight with them until there is no more persecution and religion should be only for Allah; but if they desist, then surely Allah sees what they do. YUSUFALI: If they refuse, be sure that Allah is your Protector - the best to protect and the best to help. PICKTHAL: And if they turn away, then know that Allah is your Befriender - a Transcendent Patron, a Transcendent Helper! SHAKIR: And if they turn back, then know that Allah is your Patron; most excellent is the Patron and most excellent the Helper. YUSUFALI: And know that out of all the booty that ye may acquire (in war), a fifth share is assigned to Allah,- and to the Messenger, and to near relatives, orphans, the needy, and the wayfarer,- if ye do believe in Allah and in the revelation We sent down to Our servant on the Day of Testing,- the Day of the meeting of the two forces. For Allah hath power over all things. PICKTHAL: And know that whatever ye take as spoils of war, lo! a fifth thereof is for Allah, and for the messenger and for the kinsman (who hath need) and orphans and the needy and the wayfarer, if ye believe in Allah and that which We revealed unto Our slave on the Day of Discrimination, the day when the two armies met. And Allah is Able to do all things. SHAKIR: And know that whatever thing you gain, a fifth of it is for Allah and for the Messenger and for the near of kin and the orphans and the needy and the wayfarer, if you believe in Allah and in that which We revealed to Our servant, on the day of distinction, the day on which the two parties met; and Allah has power over all things. YUSUFALI: Remember ye were on the hither side of the valley, and they on the farther side, and the caravan on lower ground than ye. Even if ye had made a mutual appointment to meet, ye would certainly have failed in the appointment: But (thus ye met), that Allah might accomplish a matter already enacted; that those who died might die after a clear Sign (had been given), and those who lived might live after a Clear Sign (had been given). And verily Allah is He Who heareth and knoweth (all things). PICKTHAL: When ye were on the near bank (of the valley) and they were on the yonder bank, and the caravan was below you (on the coast plain). And had ye trysted to meet one another ye surely would have failed to keep the tryst, but (it happened, as it did, without the forethought of either of you) that Allah might conclude a thing that must be done; that he who perished (on that day) might perish by a clear proof (of His Sovereignty) and he who survived might survive by a clear proof (of His Sovereignty). Lo! Allah in truth is Hearer, Knower. YUSUFALI: Remember in thy dream Allah showed them to thee as few: if He had shown them to thee as many, ye would surely have been discouraged, and ye would surely have disputed in (your) decision; but Allah saved (you): for He knoweth well the (secrets) of (all) hearts. PICKTHAL: When Allah showed them unto thee (O Muhammad) in thy dream as few in number, and if He had shown them to thee as many, ye (Muslims) would have faltered and would have quarrelled over the affair. But Allah saved (you). Lo! He knoweth what is in the breasts (of men). SHAKIR: When Allah showed them to you in your dream as few; and if He had shown them to you as many you would certainly have become weak-hearted and you would have disputed about the matter, but Allah saved (you); surely He is the Knower of what is in the breasts. YUSUFALI: And remember when ye met, He showed them to you as few in your eyes, and He made you appear as contemptible in their eyes: that Allah might accomplish a matter already enacted. For to Allah do all questions go back (for decision). PICKTHAL: And when He made you (Muslims), when ye met (them), see them with your eyes as few, and lessened you in their eyes, (it was) that Allah might conclude a thing that must be done. Unto Allah all things are brought back. SHAKIR: And when He showed them to you, when you met, as few in your eyes and He made you to appear little in their eyes, in order that Allah might bring about a matter which was to be done, and to Allah are all affairs returned. PICKTHAL: O ye who believe! When ye meet an army, hold firm and think of Allah much, that ye may be successful. SHAKIR: O you who believe! when you meet a party, then be firm, and remember Allah much, that you may be successful. PICKTHAL: And obey Allah and His messenger, and dispute not one with another lest ye falter and your strength depart from you; but be steadfast! Lo! Allah is with the steadfast. SHAKIR: And obey Allah and His Messenger and do not quarrel for then you will be weak in hearts and your power will depart, and be patient; surely Allah is with the patient. YUSUFALI: And be not like those who started from their homes insolently and to be seen of men, and to hinder (men) from the path of Allah: For Allah compasseth round about all that they do. PICKTHAL: Be not as those who came forth from their dwellings boastfully and to be seen of men, and debar (men) from the way of Allah, while Allah is surrounding all they do. SHAKIR: And be not like those who came forth from their homes in great exultation and to be seen of men, and (who) turn away from the way of Allah, and Allah comprehends what they do. YUSUFALI: Remember Satan made their (sinful) acts seem alluring to them, and said: "No one among men can overcome you this day, while I am near to you": But when the two forces came in sight of each other, he turned on his heels, and said: "Lo! I am clear of you; lo! I see what ye see not; Lo! I fear Allah: for Allah is strict in punishment." PICKTHAL: And when Satan made their deeds seem fair to them and said: No-one of mankind can conquer you this day, for I am your protector. But when the armies came in sight of one another, he took flight, saying: Lo! I am guiltless of you. Lo! I see that which ye see not. Lo! I fear Allah. And Allah is severe in punishment. SHAKIR: And when the Shaitan made their works fair seeming to them, and said: No one can overcome you this day, and surely I am your protector: but when the two parties came in sight of each other he turned upon his heels, and said: Surely I am clear of you, surely I see what you do not see, surely I fear Allah; and Allah is severe in requiting (evil). YUSUFALI: Lo! the hypocrites say, and those in whose hearts is a disease: "These people,- their religion has misled them." But if any trust in Allah, behold! Allah is Exalted in might, Wise. PICKTHAL: When the hypocrites and those in whose hearts is a disease said: Their religion hath deluded these. Whoso putteth his trust in Allah (will find that) lo! Allah is Mighty, Wise. SHAKIR: When the hypocrites and those in whose hearts was disease said: Their religion has deceived them; and whoever trusts in Allah, then surely Allah is Mighty, Wise. PICKTHAL: If thou couldst see how the angels receive those who disbelieve, smiting faces and their backs and (saying): Taste the punishment of burning! SHAKIR: And had you seen when the angels will cause to die those who disbelieve, smiting their faces and their backs, and (saying): Taste the punishment of burning. PICKTHAL: This is for that which your own hands have sent before (to the Judgment), and (know) that Allah is not a tyrant to His slaves. PICKTHAL: (Their way is) as the way of Pharaoh's folk and those before them; they disbelieved the revelations of Allah, and Allah took them in their sins. Lo! Allah is Strong, severe in punishment. SHAKIR: In the manner of the people of Firon and those before them; they disbelieved in Allah's communications, therefore Allah destroyed them on account of their faults; surely Allah is strong, severe in requiting (evil). YUSUFALI: "Because Allah will never change the grace which He hath bestowed on a people until they change what is in their (own) souls: and verily Allah is He Who heareth and knoweth (all things)." PICKTHAL: That is because Allah never changeth the grace He hath bestowed on any people until they first change that which is in their hearts, and (that is) because Allah is Hearer, Knower. YUSUFALI: (Deeds) after the manner of the people of Pharaoh and those before them": They treated as false the Signs of their Lord: so We destroyed them for their crimes, and We drowned the people of Pharaoh: for they were all oppressors and wrong-doers. PICKTHAL: (Their way is) as the way of Pharaoh's folk and those before them; they denied the revelations of their Lord, so We destroyed them in their sins. And We drowned the folk of Pharaoh. All were evil-doers. SHAKIR: In the manner of the people of Firon and those before them; they rejected the communications of their Lord, therefore We destroyed them on account of their faults and We drowned Firon's people, and they were all unjust. PICKTHAL: Lo! the worst of beasts in Allah's sight are the ungrateful who will not believe. SHAKIR: Surely the vilest of animals in Allah's sight are those who disbelieve, then they would not believe. YUSUFALI: They are those with whom thou didst make a covenant, but they break their covenant every time, and they have not the fear (of Allah). PICKTHAL: Those of them with whom thou madest a treaty, and then at every opportunity they break their treaty, and they keep not duty (to Allah). SHAKIR: Those with whom you make an agreement, then they break their agreement every time and they do not guard (against punishment). YUSUFALI: If ye gain the mastery over them in war, disperse, with them, those who follow them, that they may remember. PICKTHAL: If thou comest on them in the war, deal with them so as to strike fear in those who are behind them, that haply they may remember. SHAKIR: Therefore if you overtake them in fighting, then scatter by (making an example of) them those who are in their rear, that they may be mindful. PICKTHAL: And if thou fearest treachery from any folk, then throw back to them (their treaty) fairly. Lo! Allah loveth not the treacherous. SHAKIR: And if you fear treachery on the part of a people, then throw back to them on terms of equality; surely Allah does not love the treacherous. YUSUFALI: Let not the unbelievers think that they can get the better (of the godly): they will never frustrate (them). PICKTHAL: And let not those who disbelieve suppose that they can outstrip (Allah's Purpose). Lo! they cannot escape. SHAKIR: And let not those who disbelieve think that they shall come in first; surely they will not escape. SHAKIR: And prepare against them what force you can and horses tied at the frontier, to frighten thereby the enemy of Allah and your enemy and others besides them, whom you do not know (but) Allah knows them; and whatever thing you will spend in Allah's way, it will be paid back to you fully and you shall not be dealt with unjustly. YUSUFALI: And (moreover) He hath put affection between their hearts: not if thou hadst spent all that is in the earth, couldst thou have produced that affection, but Allah hath done it: for He is Exalted in might, Wise. PICKTHAL: And (as for the believers) hath attuned their hearts. If thou hadst spent all that is in the earth thou couldst not have attuned their hearts, but Allah hath attuned them. Lo! He is Mighty, Wise. SHAKIR: And united their hearts; had you spent all that is in the earth, you could not have united their hearts, but Allah united them; surely He is Mighty, Wise. YUSUFALI: O Prophet! sufficient unto thee is Allah,- (unto thee) and unto those who follow thee among the Believers. PICKTHAL: O Prophet! Allah is Sufficient for thee and those who follow thee of the believers. SHAKIR: O Prophet! Allah is sufficient for you and (for) such of the believers as follow you. YUSUFALI: O Prophet! rouse the Believers to the fight. If there are twenty amongst you, patient and persevering, they will vanquish two hundred: if a hundred, they will vanquish a thousand of the Unbelievers: for these are a people without understanding. PICKTHAL: O Prophet! Exhort the believers to fight. If there be of you twenty steadfast they shall overcome two hundred, and if there be of you a hundred (steadfast) they shall overcome a thousand of those who disbelieve, because they (the disbelievers) are a folk without intelligence. SHAKIR: O Prophet! urge the believers to war; if there are twenty patient ones of you they shall overcome two hundred, and if there are a hundred of you they shall overcome a thousand of those who disbelieve, because they are a people who do not understand. YUSUFALI: For the present, Allah hath lightened your (task), for He knoweth that there is a weak spot in you: But (even so), if there are a hundred of you, patient and persevering, they will vanquish two hundred, and if a thousand, they will vanquish two thousand, with the leave of Allah: for Allah is with those who patiently persevere. PICKTHAL: Now hath Allah lightened your burden, for He knoweth that there is weakness in you. So if there be of you a steadfast hundred they shall overcome two hundred, and if there be of you a thousand (steadfast) they shall overcome two thousand by permission of Allah. Allah is with the steadfast. SHAKIR: For the present Allah has made light your burden, and He knows that there is weakness in you; so if there are a hundred patient ones of you they shall overcome two hundred, and if there are a thousand they shall overcome two thousand by Allah's permission, and Allah is with the patient. YUSUFALI: It is not fitting for a prophet that he should have prisoners of war until he hath thoroughly subdued the land. Ye look for the temporal goods of this world; but Allah looketh to the Hereafter: And Allah is Exalted in might, Wise. PICKTHAL: It is not for any prophet to have captives until he hath made slaughter in the land. Ye desire the lure of this world and Allah desireth (for you) the Hereafter, and Allah is Mighty, Wise. SHAKIR: It is not fit for a prophet that he should take captives unless he has fought and triumphed in the land; you desire the frail goods of this world, while Allah desires (for you) the hereafter; and Allah is Mighty, Wise. YUSUFALI: Had it not been for a previous ordainment from Allah, a severe penalty would have reached you for the (ransom) that ye took. PICKTHAL: Had it not been for an ordinance of Allah which had gone before, an awful doom had come upon you on account of what ye took. SHAKIR: Were it not for an ordinance from Allah that had already gone forth, surely there would have befallen you a great chastisement for what you had taken to. YUSUFALI: But (now) enjoy what ye took in war, lawful and good: but fear Allah: for Allah is Oft-forgiving, Most Merciful. PICKTHAL: Now enjoy what ye have won, as lawful and good, and keep your duty to Allah. Lo! Allah is Forgiving, Merciful. SHAKIR: Eat then of the lawful and good (things) which you have acquired in war, and be careful of (your duty to) Allah; surely Allah is Forgiving, Merciful. YUSUFALI: O Prophet! say to those who are captives in your hands: "If Allah findeth any good in your hearts, He will give you something better than what has been taken from you, and He will forgive you: for Allah is Oft-forgiving, Most Merciful." PICKTHAL: O Prophet! Say unto those captives who are in your hands: If Allah knoweth any good in your hearts He will give you better than that which hath been taken from you, and will forgive you. Lo! Allah is Forgiving, Merciful. SHAKIR: O Prophet! say to those of the captives who are in your hands: If Allah knows anything good in your hearts, He will give to you better than that which has been taken away from you and will forgive you, and Allah is Forgiving, Merciful. YUSUFALI: But if they have treacherous designs against thee, (O Messenger! ), they have already been in treason against Allah, and so hath He given (thee) power over them. And Allah so He Who hath (full) knowledge and wisdom. PICKTHAL: And if they would betray thee, they betrayed Allah before, and He gave (thee) power over them. Allah is Knower, Wise. SHAKIR: And if they intend to act unfaithfully towards you, so indeed they acted unfaithfully towards Allah before, but He gave (you) mastery over them; and Allah is Knowing, Wise. YUSUFALI: Those who believed, and adopted exile, and fought for the Faith, with their property and their persons, in the cause of Allah, as well as those who gave (them) asylum and aid,- these are (all) friends and protectors, one of another. As to those who believed but came not into exile, ye owe no duty of protection to them until they come into exile; but if they seek your aid in religion, it is your duty to help them, except against a people with whom ye have a treaty of mutual alliance. And (remember) Allah seeth all that ye do. PICKTHAL: Lo! those who believed and left their homes and strove with their wealth and their lives for the cause of Allah, and those who took them in and helped them: these are protecting friends one of another. And those who believed but did not leave their homes, ye have no duty to protect them till they leave their homes; but if they seek help from you in the matter of religion then it is your duty to help (them) except against a folk between whom and you there is a treaty. Allah is Seer of what ye do. SHAKIR: Surely those who believed and fled (their homes) and struggled hard in Allah's way with their property and their souls, and those who gave shelter and helped-- these are guardians of each other; and (as for) those who believed and did not fly, not yours is their guardianship until they fly; and if they seek aid from you in the matter of religion, aid is incumbent on you except against a people between whom and you there is a treaty, and Allah sees what you do. YUSUFALI: The Unbelievers are protectors, one of another: Unless ye do this, (protect each other), there would be tumult and oppression on earth, and great mischief. PICKTHAL: And those who disbelieve are protectors one of another - If ye do not so, there will be confusion in the land, and great corruption. SHAKIR: And (as for) those who disbelieve, some of them are the guardians of others; if you will not do it, there will be in the land persecution and great mischief. YUSUFALI: Those who believe, and adopt exile, and fight for the Faith, in the cause of Allah as well as those who give (them) asylum and aid,- these are (all) in very truth the Believers: for them is the forgiveness of sins and a provision most generous. PICKTHAL: Those who believed and left their homes and strove for the cause of Allah, and those who took them in and helped them - these are the believers in truth. For them is pardon, and bountiful provision. SHAKIR: And (as for) those who believed and fled and struggled hard in Allah's way, and those who gave shelter and helped, these are the believers truly; they shall have forgiveness and honorable provision. YUSUFALI: And those who accept Faith subsequently, and adopt exile, and fight for the Faith in your company,- they are of you. But kindred by blood have prior rights against each other in the Book of Allah. Verily Allah is well-acquainted with all things. PICKTHAL: And those who afterwards believed and left their homes and strove along with you, they are of you; and those who are akin are nearer one to another in the ordinance of Allah. Lo! Allah is Knower of all things. SHAKIR: And (as for) those who believed afterwards and fled and struggled hard along with you, they are of you; and the possessors of relationships are nearer to each other in the ordinance of Allah; surely Allah knows all things.